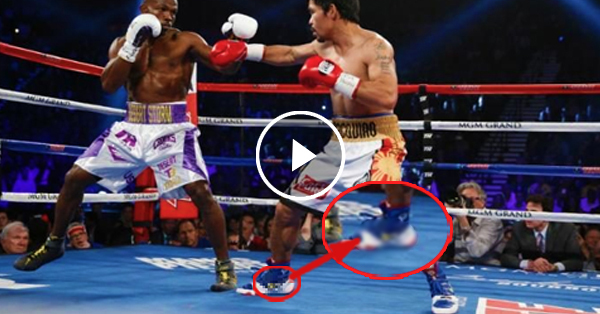 Manny Pacquiao's shoes during his fight with Bradley drew attention from the netizens! 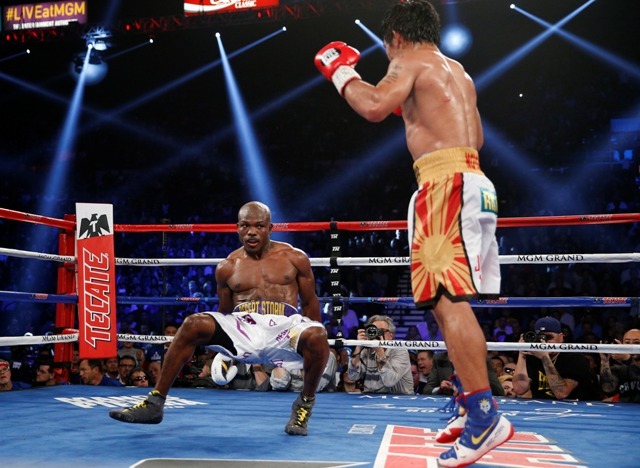 Home / News / Manny Pacquiao's shoes during his fight with Bradley drew attention from the netizens! When the news broke about the statement that Manny Pacquiao had towards the people involved in the same gender marriage, the people around the world could not get enough of it. One of the sponsors of Manny Pacquiao, Nike, decided to pull out their sponsorship from the boxer because of the negative words that he said when he compared those people as 'worse than animals'. 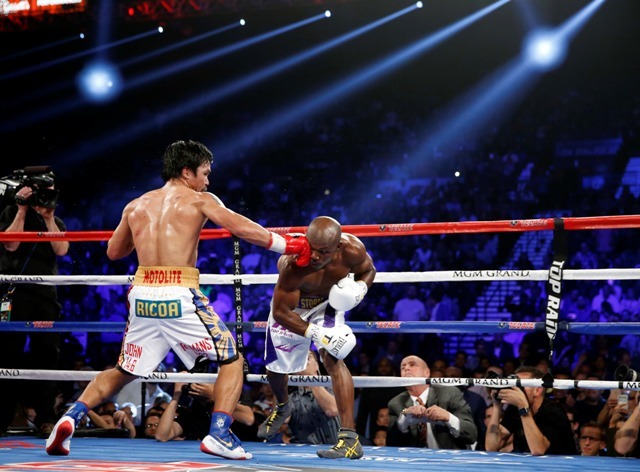 The spokesperson of Nike immediately said, 'We find Manny Pacquiao's comments abhorrent. Nike strongly opposes discrimination of any kind and has a long history of supporting and standing up for the rights of the LGBT Community.'. But in his recent fight, Manny Pacquiao was spotted wearing a pair of Swoosh which is under the sporting brand of Nike. In the fight that he had with Timothy Bradley, no one thought that he would be seen wearing a pair of Nike shoes after they dropped the deal on his sponsorship.